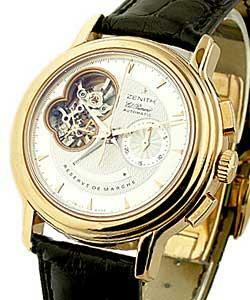 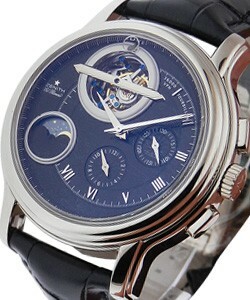 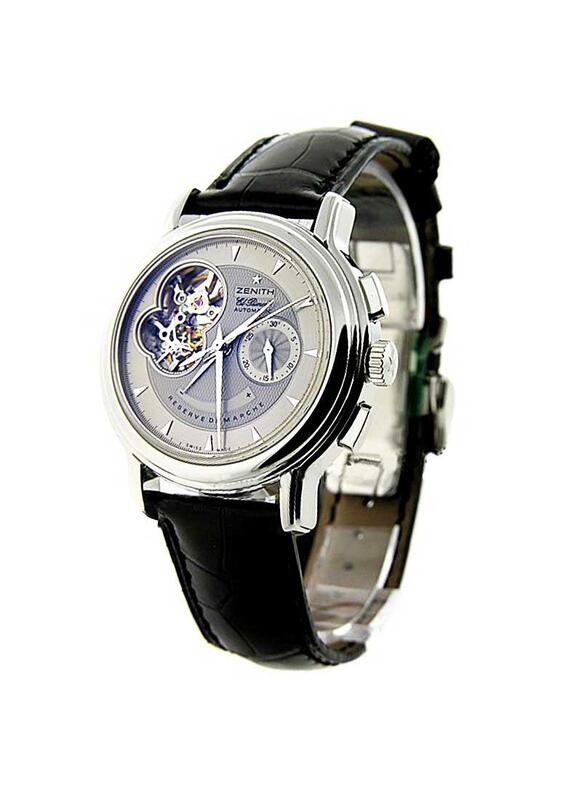 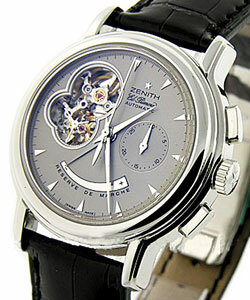 This watch is also known as: 030240402102c495 , 03.0240.4021.02.C495 , 03-0240-4021-02-C495 . 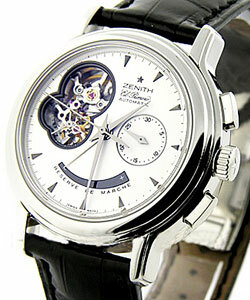 The Zenith El Primero Chronomaster T has 40 mm Stainless Steel case with Silver Guilloche dial. 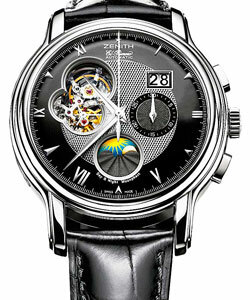 This Zenith El Primero also has Black Leather Strap, Steel Deployment Buckle, Power Reserve Indicator, and unique cutaway that partially skeletonizes the movement and stop watch function.